Bonnie Doon can carry 8 passengers. Larger groups by request - please contact us. Maximum 19 passengers. Pick up from the jetty near the launching ramp on Fruitgrowers Road, close to the Clyde Dam. We can depart from other locations on Lake Dunstan by request - please contact us. The scenic cruise encompasses the length of the lake from Clyde Dam to Bendigo, past Cromwell, and return. 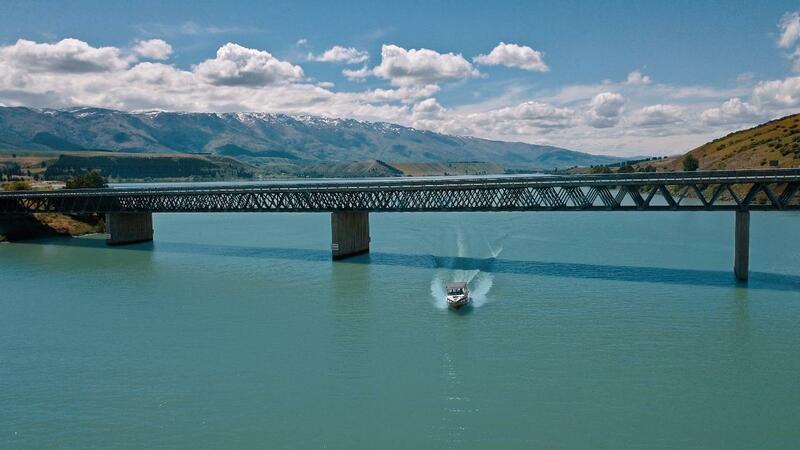 The Kawarau Arm of the lake is too shallow for safe navigation. Bring a snack, go for a beach walk and enjoy the scenery. Fishing Option - please tick the box if you would like to try your hand at catching a fish. A fishing licence is required. Day (or Season) licences can be purchased on line from Fish and Game NZ, or from a sports shop. Some fishing gear is available to hire, or bring your own. We will contact you to discuss details for the fishing option.